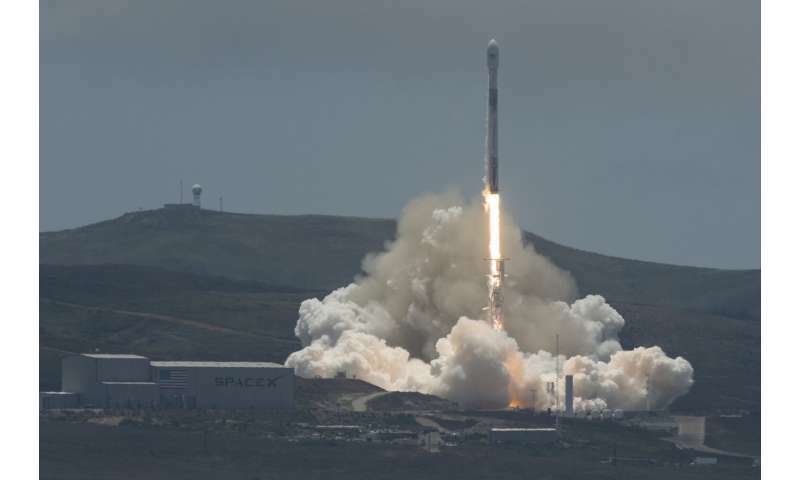 The NASA/German Research Centre for Geosciences Gravity Recovery and Climate Experiment Follow-on (GRACE-FO) mission launched onboard a SpaceX Falcon 9 rocket, Tuesday, May 22, 2018, from Space Launch Complex 4E at Vandenberg Air Force Base in California. The mission will measure changes in how mass is redistributed within and among Earth's atmosphere, oceans, land and ice sheets, as well as within Earth itself. GRACE-FO is sharing its ride to orbit with five Iridium NEXT communications satellites as part of a commercial rideshare agreement.